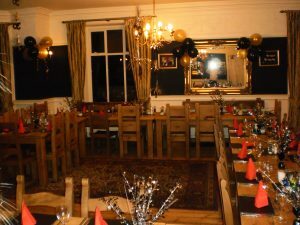 We would be delighted to host your private function in one of our three available rooms. Apart from the usual Christmas and New Year Parties we also accommodate Birthdays, Anniversaries, Re-unions, Secluded Dining and wedding parties. 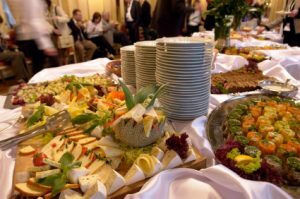 Our catering staff can produce set menus and finger buffets to suit the majority of budgets and will always be guided by your personal preferences. We can lay the tables to suit your requirements & you may decorate them to your liking.